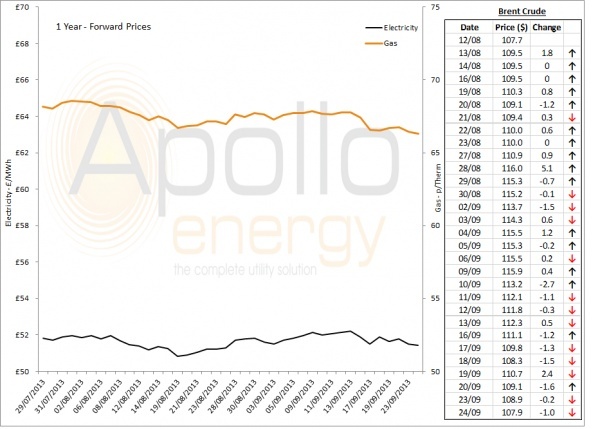 Spot prices are lower than they were on Friday thanks to an unexpected increase in wind production although prices could go up if supply levels remain tight. The spot market has shown little change as numerous plants are still offline leading to on-going supply issues. In terms of gas, Norwegian flows are higher this morning and the forecast for slightly warmer weather should help October-13 prices move down. 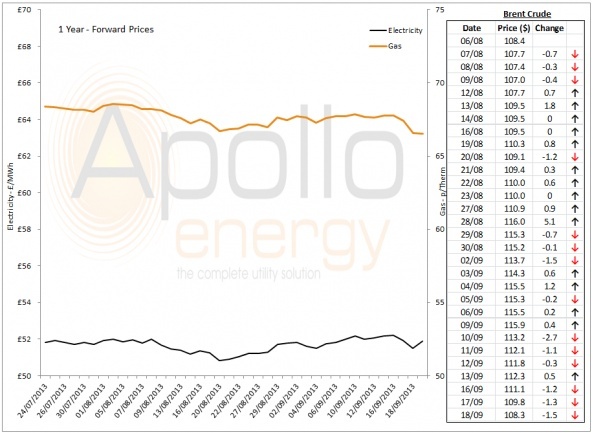 Spot prices are not expected to decrease in the next few days and should remain firm despite improved renewable energy production. 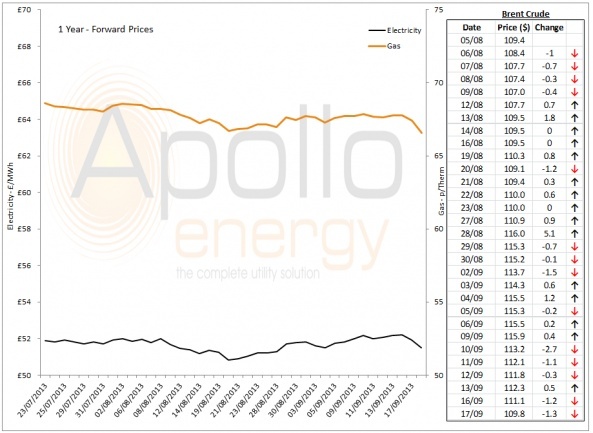 Spot prices went up slightly yesterday due to a fall in thermal capacities as a result of several outages at plants. 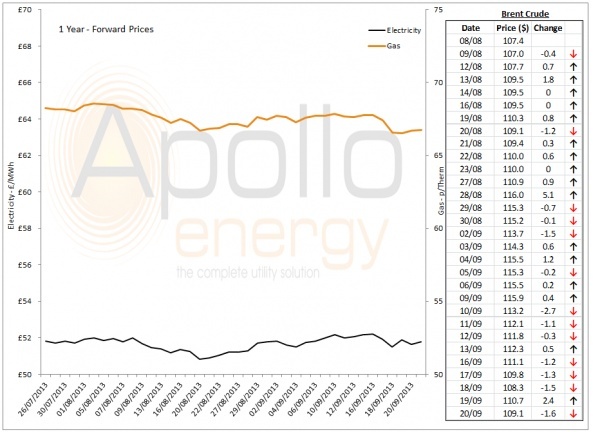 Spot prices made gains yesterday as a drop in renewable production has been forecast for today although wind and solar generation could improve in the afternoon. 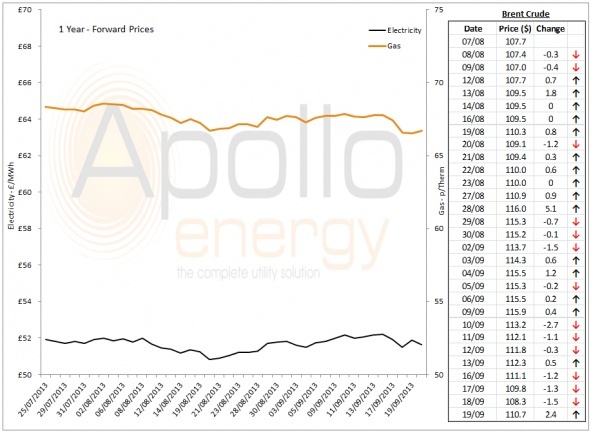 Spot prices fell yesterday as a result of healthy wind supplies and an improvement in solar generation. Spot prices are expected to remain at similar levels today but could make gains tomorrow as renewable production is forecast to go down.